Located in Malvern, Pennsylvania, Donovan Litigation Group, LLC is a law firm dedicated to providing first class litigation services to institutional and individual investors, pension funds, hedge funds, consumers and small businesses. The firm’s nationwide practice focuses on securities litigation, corporate governance matters, class actions, shareholder rights, consumer litigation and cases against financial service providers, including banks, mortgage servicers, consumer debt collectors, consumer reporting agencies (credit bureaus) and credit card issuers. The firm provides most of its services on a contingent fee basis. Approximately 90% of its cases are class actions. The firm has associated with counsel on cases throughout the country, and its principals are active members of the American Bar Association, Public Justice, and the National Association of Consumer Advocates. Learn more about our Service Focus and Fee Structure. 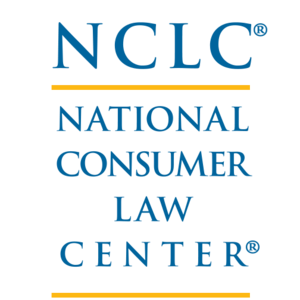 Each year NCLC presents the Vern Countryman Consumer Law Award to a legal services or other public interest attorney whose special contributions to the practice of consumer law have strengthened and affirmed the rights of low-income Americans. The National Law Journal's VerdictSearch affiliate scours the nation's court records in search of the largest verdicts; it also consults with practitioners and with additional ALM Media LLC publications.